Importing and exporting water from Spain to China. L&P Global. Natural mineral water is the best quality water out of all the different types of water available. They are organically sound with a rich composition of mineral salts that offer positive effects to the body. Font D'Or water is produced using processes that protect their original purity and that is stored in aseptic packaging to ensure top consumption quality. Checks are carried out during the entire process on a systematic basis, thus ensuring flawless quality. 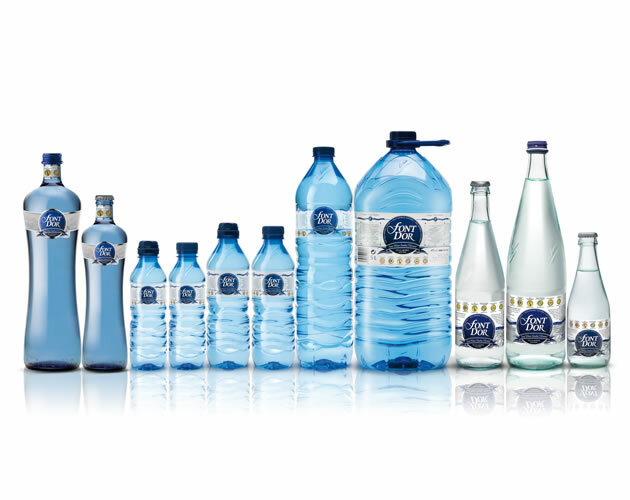 Thanks to all of these efforts, Font D'Or is renowned as a superior-quality water with a balanced mineral composition.